Social Media has revolutionized the way internet users interact and share information online. Over 70 % of internet users are on social media – making it be widely..
Social Media has revolutionized the way internet users interact and share information online. Over 70 % of internet users are on social media – making it be widely considered as one of the Most Powerful Modern Marketing Tools. Almost everyone today is either on Facebook, Twitter, Instagram or Google+; 4 of the Largest Social Media Platforms currently. More and more people are joining social media every single day, which translates to a mounting progress and explosive growth. A few years ago, readers used to subscribe to blogs using RSS. These days, people can subscribe to a website’s official social media accounts to get notifications on new content. If you are using WordPress for your site, you don’t want to ignore the power of social sharing plugins. People love to share articles and content they find interesting, and providing them with an easy way to do this will unlock your blog’s potential for Social Growth. WordPress itself is not a Social CMS – so if you want to make sharing content from your site easy, you’re going to need WordPress Social Sharing Plugins. These plugins help you create a beautiful set of buttons where your online visitors can click to and share your content on the different social networks. This way you can increase traffic to your site without spending a dime. To help you find the right social sharing plugins for your blog, we dag into some of the best WordPress social sharing plugins out there for 2019. 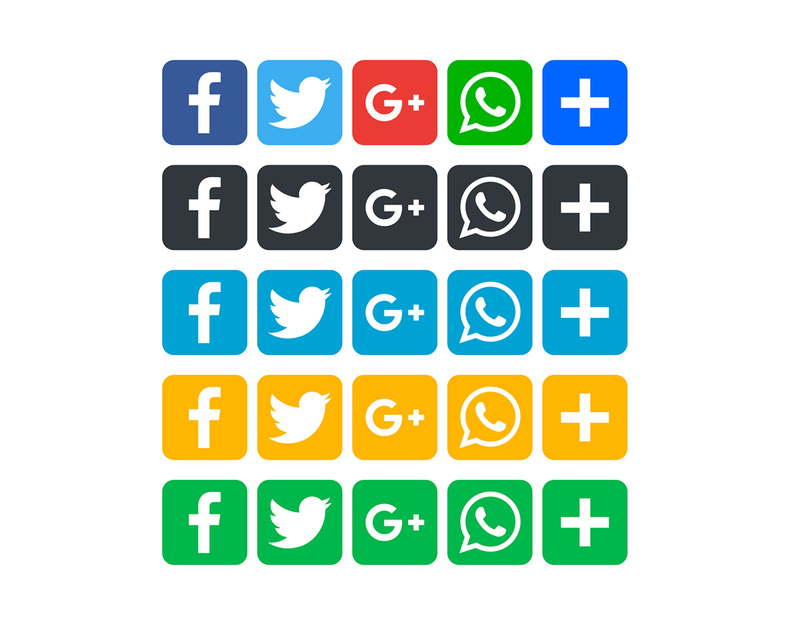 Simple Share Buttons Adder is a top-rated and easy to use social media share plugin with a minimal backend but very practical. It allows web designers and developers to automatically insert social sharing buttons above and below content area. You can also insert social media sharing buttons into your Archives, Homepage, and Excerpts. The team behind this plugin had one goal in mind; to develop a plugin that will make adding simple share buttons to pages and posts a walk in the park. I must admit that they succeeded in doing that. Simple Share Buttons Adder allows you to use your own custom imagery according to your website’s design. With 100k+ active installations, this plugin has an all-new “Modern Share Buttons” tab that provides you more flexibility when customizing your buttons. This social media share plugin boasts 4 Themes and 7 Headlines. 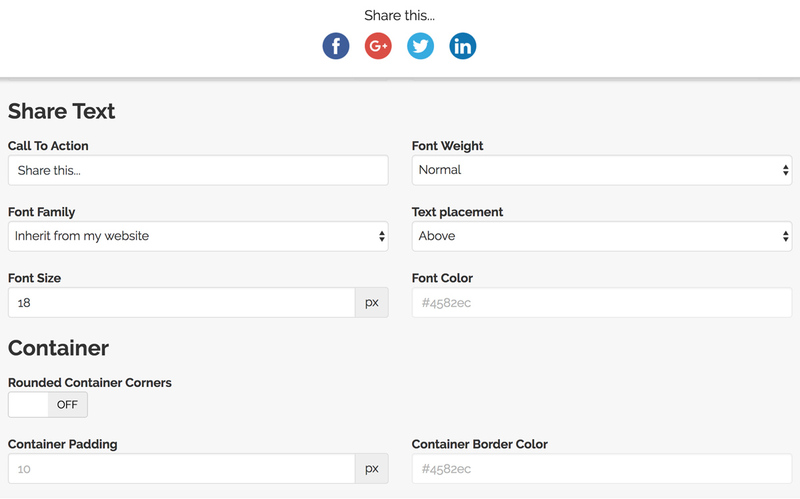 You can easily change the size, layout, position, and alignment of your social sharing buttons. 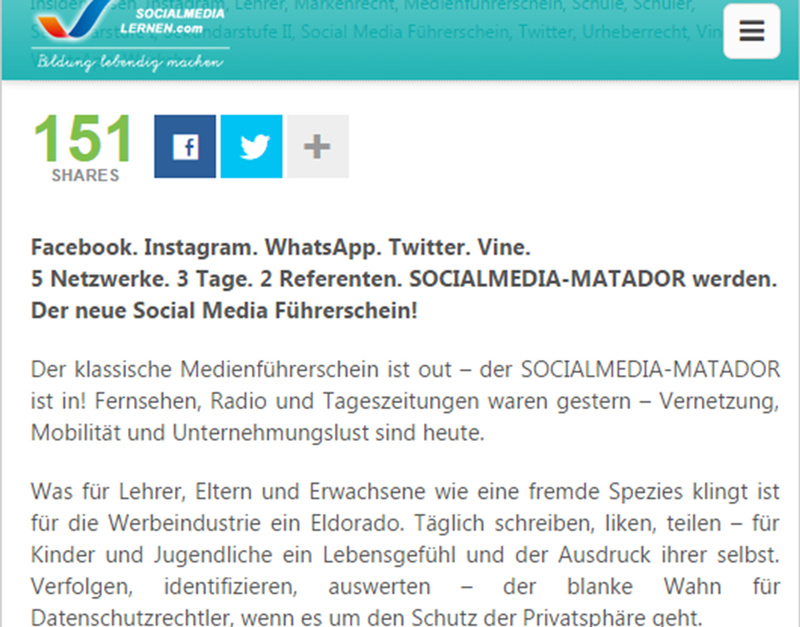 Available in 3 Languages, Shareaholic supports a total of 83 Social Media Networks and Internet Services. MashShare is a free and highly customizable social media share plugin inspired by Mashable, a popular news blog. MashShare is packed with a dedicated widget that shows most shared posts, URL shortening integration, share counts aggregation, and mobile-ready. The free version of this plugin supports Facebook and Twitter. Customizing this plugin is easy as there are just 6 sections in the settings namely Networks, General, Position, Visual, Debug and Short URLs. One outstanding feature of MashShare is that it does not load any external scripts which may interfere with your website’s loading speed. Kiwi is a simple and easy-to-use social media share plugin loved by webmasters for its usability and functionality. This fast-rising plugin will save you the hassles of installation and CSS coding by providing you with an intuitive UI and a Click-and Drag functionality to add or remove something. 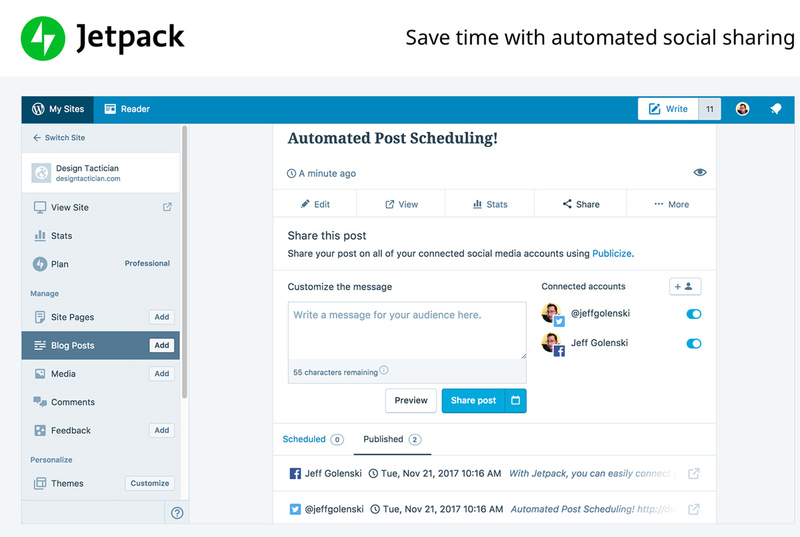 This lightweight plugin supports several social media networks including Reddit, LinkedIn, Facebook, Twitter, Google+ and email. You can turn each social network on or off individually. 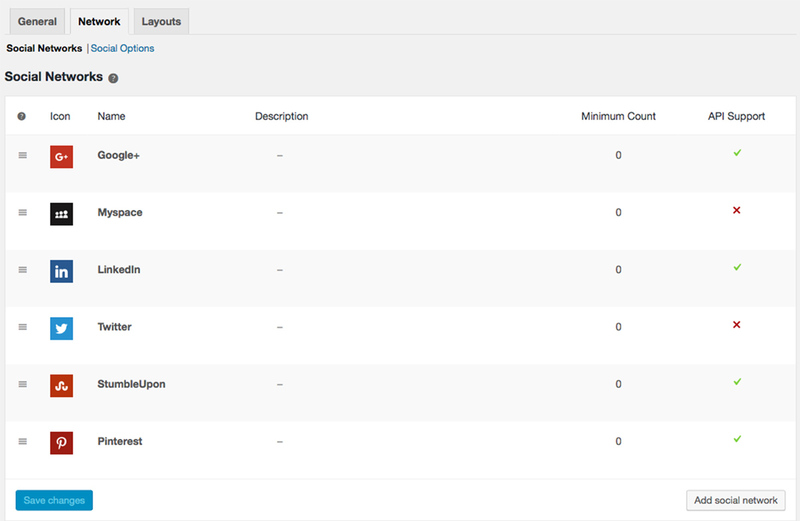 Kiwi also includes features for bar sizes, changing button sizes and shapes, and share count. The live preview feature will enable you to customize the plugin while having a look at how it would look like on the frontend. Easy Social Sharing by ThemeGrill is a Social Sharing plugin that has been tested to work seamlessly for both beginners and experts. This simple yet powerful plugin provides a handful of premium-like features that include 18+ Social Networks Support, 7 Design layouts, 4 Icon layouts, Floating Social Buttons, Ajax Count Update and Attractive Shiny Sharing Buttons for posts and pages. This theme lets you choose your preferred location for displaying the icons. You can place the icons above the content, below or both. 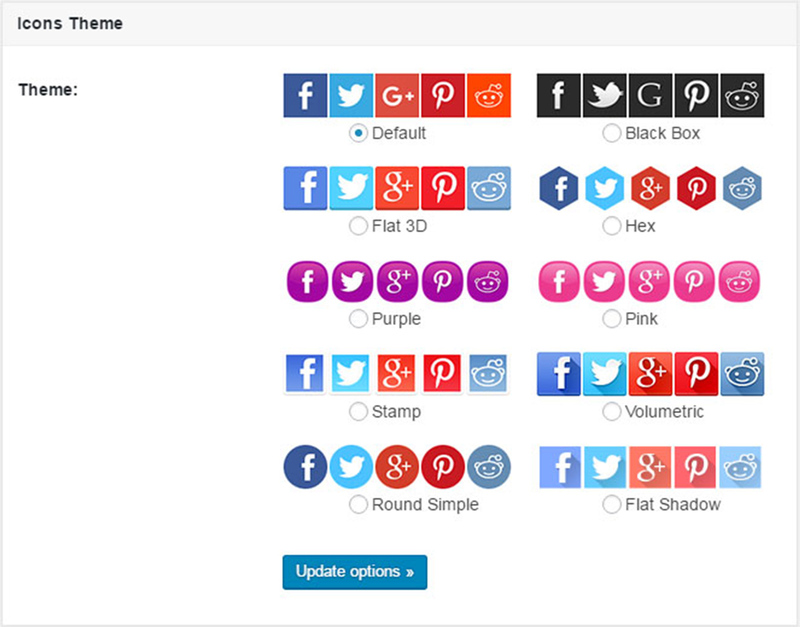 You can additionally choose from various layouts to showcase your social icons. AddToAny Share Button is a flexible and lightweight social media share plugin supporting 100+ social networks. Notable mentions include Whatsapp, Facebook, Pinterest and Twitter. With 500k+ active installations, you can never go wrong with this plugin. This Social Sharing plugin supports individual share links, floating share buttons, custom icons and counters showing official share counts. You have the luxury of placing this button on multiple positions. Available in 8 languages, AddToAny Share Button is Speed Optimized and Google Analytics ready. You will also receive Ongoing Support from the growing community. If you are specifically interested in knowing how your content performs on social networks, look no further than Social Metrics Tracker. 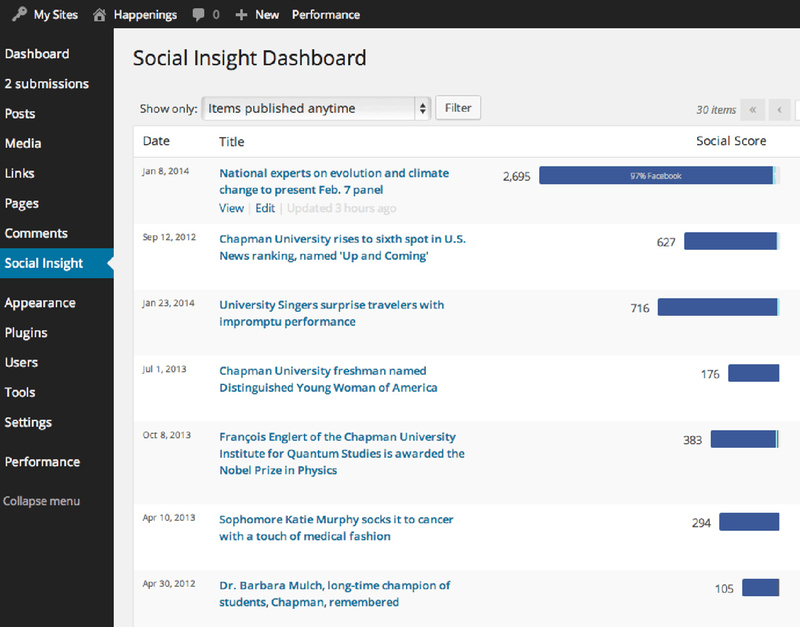 Social Metrics Tracker lets you see which of your posts or pages are most popular on social media. It does an in-depth analysis of your online interactions on social media and informs you on the “Social Metrics” dashboard panel the number of times each of your posts has been shared by your web visitors on the different social networks. You will receive vital stats from Pinterest, Facebook, Reddit, LinkedIn, Flattr, Google+, StumbleUpon, and XING. 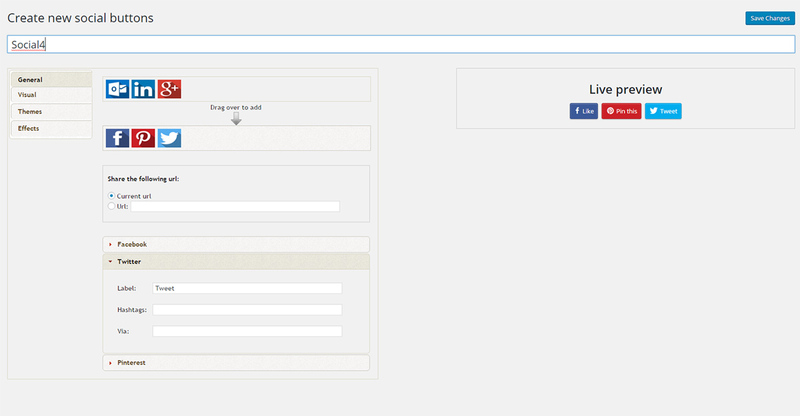 This social media share plugin gives you the option to export the data collected to a spreadsheet for examination. The stats will help you to focus on posting what your visitors love to share. Social Media share Buttons is another lightning fast and handy plugin that supports 7+ Social Networks and 12 Panel Effects. Other features you will enjoy with this plugin include Floating Social Media Icons Bar, Animated Icons and showing sharing counts in the buttons. Social Media Share Buttons provides you the options to set sharing buttons spacing and size, displaying counter, multiple display styles, and customized buttons alignment. The user-friendly design in this social media share plugin will allow even beginners to use it without difficulty and reap the benefits that it brings. The powerful visual editor has various functionalities including show labels/counts, round buttons, font size, show buttons on all posts and insert into a single button. Cool Image Share by Flector is an essential social media share plugin for any blog with the image in posts. This plugin helps you to add social media icons to every picture in your posts with various CSS3 effects. This will grab the attention of your website visitors and give them the urge to want to share the posts with their friends. 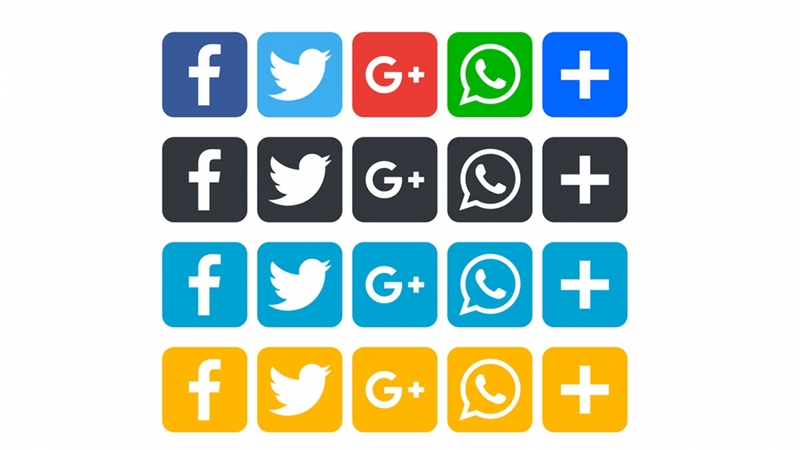 The social networks supported include Google+, Facebook, Twitter, Reddit, Pinterest, Tumblr, Vkontakte, LiveJournal, LinkedIn, and Odnoklassniki. You can choose from multiple positions including Center, Top Left, Top right, Bottom Right and Bottom Left. Orientation can either be vertical or horizontal. The Auto-wrapping feature in Cool Image Share will wrap images in any tags for you so you focus on other things. 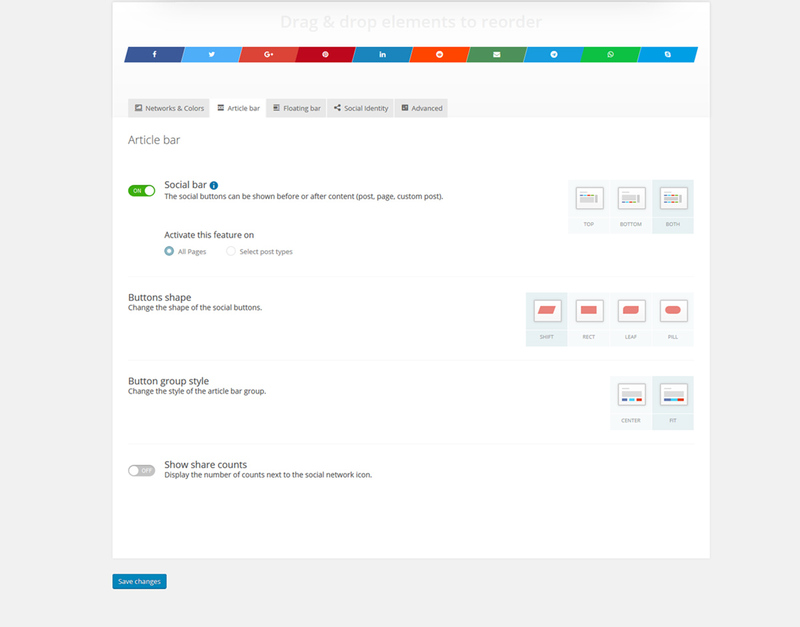 Jetpack by Automattic is not a new name for website developers and designers. Over time, the multipurpose plugin has grown to be one of the most versatile and widely used sharing plugins in WordPress (4 million+ active installations). This plugin offers webmasters with the ability to share pages and posts with limited social media networks (9 in total), as well as print buttons and email. Popular social networks supported by this plugin include Tumblr, Reddit, LinkedIn, Telegram and Skype. Jetpack currently has 34 modules, and more are on the way. You can enable buttons on your homepage, search results, archives, pages, posts, and media. You will enjoy the global team of Happiness Engineers who will provide you with expert support when needed. It was hard to narrow the field down to just 10 WordPress social sharing plugins because there are plenty of quality options, but we managed to present you the best ones in 2019. Remember to use social networks important to your website niche. For instance, it will be pointless to include a LinkedIn sharing button in a bar or entertainment website. Make use of Google Analytics to see which social networks are bringing you the most traffic. Too many social media buttons will slow down your site and make it less social. If you think that there are any great social share plugins WordPress we left out, be sure to leave a comment below and let us (and other readers) know about them! Join Today to Download all our Themes, HTML Templates and Plugins! A collection specifically created for Web Developers, Designers, Freelancers and Web Agencies around the world.